The Indigenous light combat aircraft Tejas, for the first time, received fuel mid-air from an IAF tanker aircraft recently, taking a big step towards becoming fully ready for combat in the Indian Air Force. Within minutes of taking off from Gwalior, the home-made combat jet received 1,900 kg of fuel from the IAF IL78 tanker in a successful air-to-air operation. 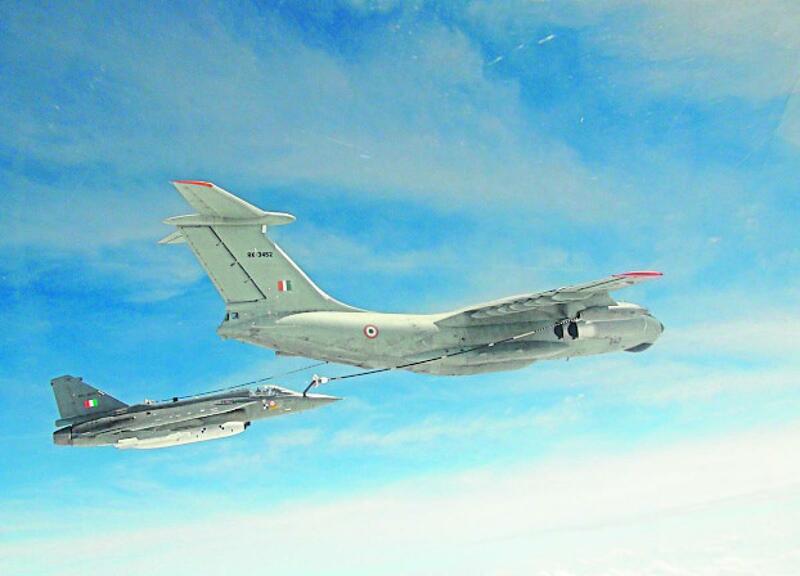 The refuelling was carried out at an altitude of 20,000 feet. All the internal tanks and drop tanks were refuelled to enhance the aircraft’s endurance. The aircraft was moving at a speed of 270 knots. The aircraft was piloted by Wg Cdr Siddharth Singh of the National Flight Test Centre. “The air-to-air refueling capability for LCA is a force multiplier for the IAF, giving the aircraft the potential to stay airborne for much longer periods of time,” tweeted Defence Minister Nirmala Sitharaman. With this, India joins the elite group of countries that have developed the Air-to-Air (AAR) system for military class of aircraft, says HAL Chairman and Managing Direct, R Madhavan. The enhanced range and endurance is expected to provide IAF a host of options in exploiting the operational potential of the LCA as well as to participate in international exercises without having to stage through several locations en-route. The refueling, explained an officer, would allow a take-off with higher payload, which could be extra weapons too. “The maximum take-off weight is maintained by carrying less fuel and topping up once the aircraft is air borne,” he said. It would enable the Tejas aircraft to undertake multi-role missions, both for air defence and strike, the officer pointed out. 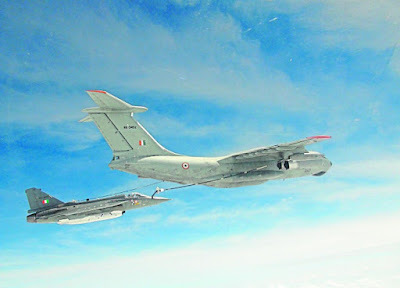 Before the ‘wet contact’ trial, the ‘dry contact trials’ were successfully conducted twice on September 4 and 6, where the Drogue (basket) extended from the IAF tanker aircraft by a fuel hose, was tracked and plugged into using the aircraft refuelling probe without taking fuel. Hindustan Aeronautics Limited and Aeronautical Development Agency have pushed the target date for the Final Operational Clearance sometimes in the middle of 2019. The deadline is years beyond the original schedule and the last target deadline in June 2018 was missed.